We also offer unmatched range of Fiberglass Mats to our clients as per their requirement. These are highly checked on the various quality parameters and meet industry standards. Our range is fabricated using best grade raw materials and under the guidance of our experts. We offer our range to our clients at industry leading prices. We offer high silica needled mats . Their outstandingly low heat conductivity, high electrical insulation properties at elevated temperature make them ideal for such applications. Silica mats maintain their excellent properties after long exposure to temperatures as high as 1000°C, and short-time exposure up to 1300°C. 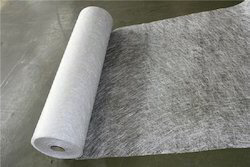 3B Continuous Filament Mat (CFM) is a non-woven mat made from 3B E-CR glass filaments, consisting of continuous fibres randomly orientated in multiple layers. 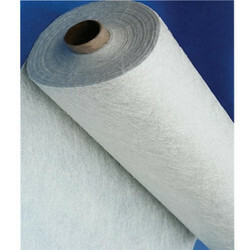 The glass fibre is bonded with a silane coupling agent and the layers held together with a suitable binder. We are providing an extensive range of Fiberglass Chopped Strand Mat that is perfectly suitable for commercial, residential or industrial uses. In addition, we offer product at nominal price. Rigid laminated sheet manufactured from glass fibre matt as backing and high temperature epoxy as binder. It is suitable for insulating components subject to high mechanical stress at temperature limit upto around 155ºC. Application: Used for Insulating wedges. E-glass continuous filament mat is made from continuous fiberglass strands randomly looped and bounded together with binder. We are offering Fiberglass CSM Mat to our clients.